Though some scholars locate the Suvarnabhumi (Land of Gold), to which Ashokan missionaries were supposedly sent, somewhere on the Malay Peninsula or in Indonesia, this is probably not accurate. It is, however, quite certain that Buddhism reached these areas by the beginning centuries of the 1st millennium AD. With the help of Indian missionaries such as the monk Gunavarman, Buddhism had gained a firm foothold on Java well before the 5th century AD. Buddhism was also introduced at about this time in Sumatra, and, by the 7th century, the king of Shrivijaya on the island of Sumatra was a Buddhist, whose kingdom included much of the Malay Peninsular. When the Chinese traveler I-ching visited this kingdom in the 7th century, he noted that Hinayana was dominant in the area but that there were also a few Mahayanists. It was also in the 7th century that the great scholar Dharmapala from Nalanda visited Indonesia. The Shailendra dynasty, which ruled over the Malay Peninsula and a large section of Indonesia from the 7th to the 9th century, promoted the Mahayana and Tantric forms of Buddhism. During this period major Buddhist monuments were erected in Java, among them the marvelous Borobudur, which is perhaps the most magnificent of all Buddhist stupas. From the 7th century onward, Vajrayana Buddhism spread rapidly throughout the area. King Kertanagara of Java (reigned 1268-92) was especially devoted to Tantric practice. In the Malay Peninsula, as in India, Buddhism gradually lost its hold during the first half of the 2nd millennium AD. 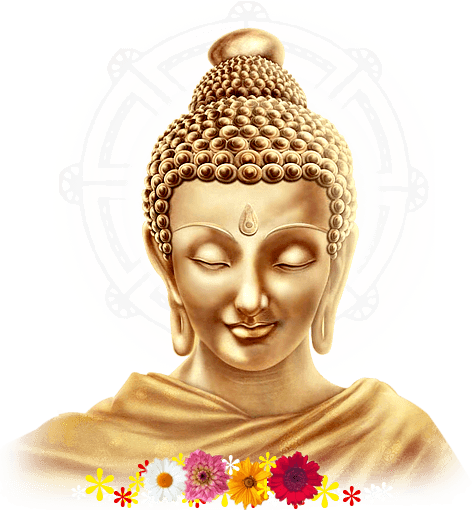 In many areas Buddhism was assimilated to Hinduism, forming a Hindu-oriented amalgam that in some places (for example in Bali) has persisted to the present. In most of Malaysia (and Indonesia), however, both Hinduism and Buddhism were replaced by Islam, which remains the dominant religion in the area. Today, about 19% of the Malaysian population claim themselves to be Buddhists. A large denomination of the local Buddhists are however, of Chinese descent, followed by the Sinhalese, Thais and Burmese. There is not one tradition which can be said to be dominant, although the Mahayana school claims to have the largest following. This is followed by the Theravada and Vajrayana. Buddhists tend to be located in the main urban centres, with the main concentration largely in Kuala Lumpur, Penang, Malacca and Johor Bahru. In the states of the northern regions bordering Thailand, Siamese influenced Wats dot the landscape. An unique feature about Buddhism in Malaysia is that the various schools tend to be aligned to a spoken language. Mahayana adherents tend to be chinese speaking, while those in the Theravada and Vajrayana tradition are mainly English educated. Another interesting endemic development is that much of the Buddhist activities are organized and carried out by lay people. As there are only about 1,000 officially recognised monks and nuns in the whole country, the lay followers - many of whom are from the younger generation - have taken the initiative to administer programs such as sutra studies, Dharma talks, Sunday schools for children, fellowship networking units, youth clubs and other socially engaged actitivities such as non-profit businesses, web based initiatives, social welfare homes and humanitarian charities. The "democratization" of Buddhist propagation is an interesting phenomena which even youth organization from established Buddhist countries like Thailand and Sri Lanka are trying to emulate. Since Buddhism in Malaysia is multi-faceted, a Malaysian Buddhist Council was formed to represent the various sects in the country to extend the work of the development of the Buddha Dharma, especially in giving contemporary relevance to the practise of the religion, as well as to promote solidarity among Buddhists in general.